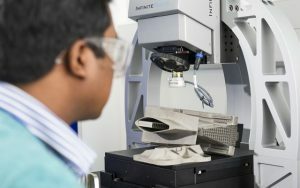 Stratasys announced that GKN Aerospace is improving production times and removing design constraints for multiple tooling applications since integrating additive manufacturing at its Filton manufacturing site in the UK. Time cut from several weeks to a few hours using Stratasys Production 3D Printer: GKN Aerospace is producing complex tools that were uneconomical or impossible to make without additive manufacturing. According to , the company decided to invest in the Stratasys F900 Production 3D Printer in a bid to cut lead times for production-line tools, and to create complex parts, impossible to make with traditional manufacturing methods. Produced on the Stratasys F900 Production 3D Printer, this small tool enables GKN to quickly cut new bungs to the correct size and enables several parts to be processed at once. Customized, complex tools that were previously impossible to makeIn addition, GKN Aerospace is reporting unprecedented levels of design freedom since investing in the Stratasys F900 into its operations. 3D printed bespoke fixtures that are uneconomical or physically impossible to create by any other manufacturing methods. 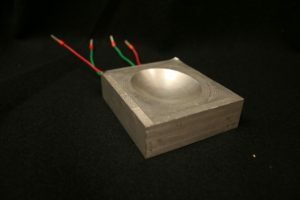 To the futureHope anticipates a greater move towards the use of FDM additive manufacturing to produce high-value, flight-critical, end-use composite parts. Stratasys is a global leader in additive manufacturing or additive manufacturing technology and is the manufacturer of FDM® and PolyJet™ 3D Printers. The company’s technologies are used to create prototypes, manufacturing tools, and production parts for industries, including aerospace, automotive, healthcare, consumer products and education. For 30 years, Stratasys products have helped manufacturers reduce product-development time, cost, and time-to-market, as well as reduce or eliminate tooling costs and improve product quality. The Stratasys additive manufacturing ecosystem of solutions and expertise includes: 3D printers, materials, software, expert services, and on-demand parts production.